I can’t get enough soup this time of the year. It’s the perfect way to use up some leftover veggies, the last winter squash on the counter, or put to use some of the ingredients you have in your pantry. 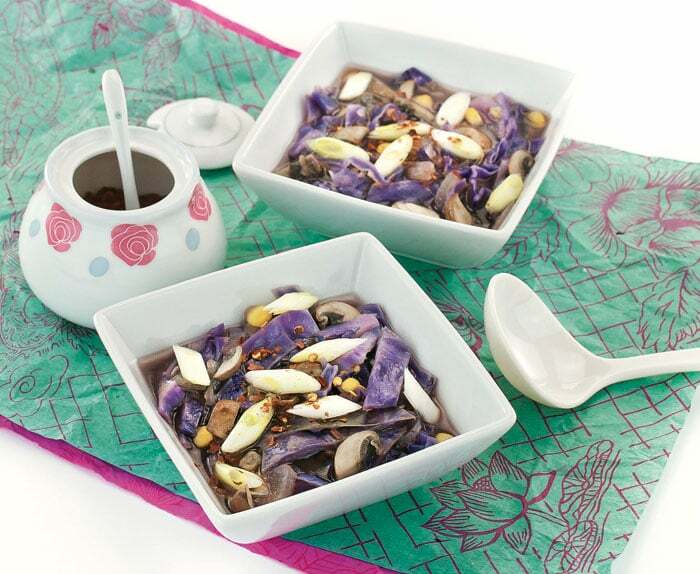 You’ve got your choice of soups: brothy, full of noodles, beans, vegetables, or a delicate puree. 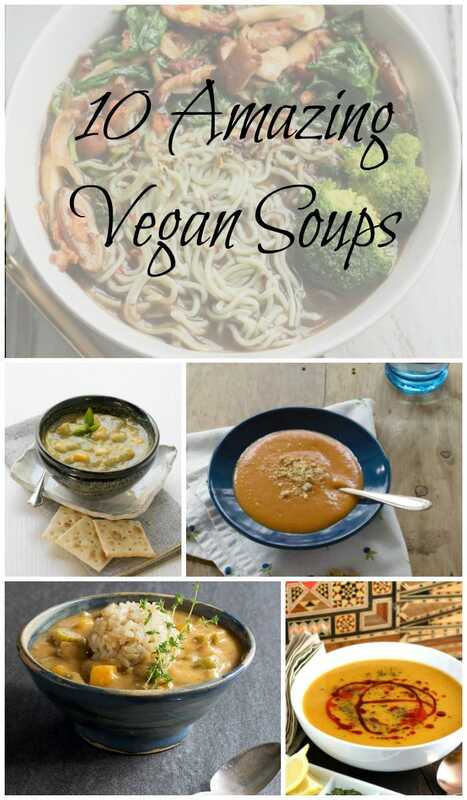 Tell me about some of your favorite soups in the comments, I’d love to get even more ideas! with the least effort and tastes like you worked hard all day. 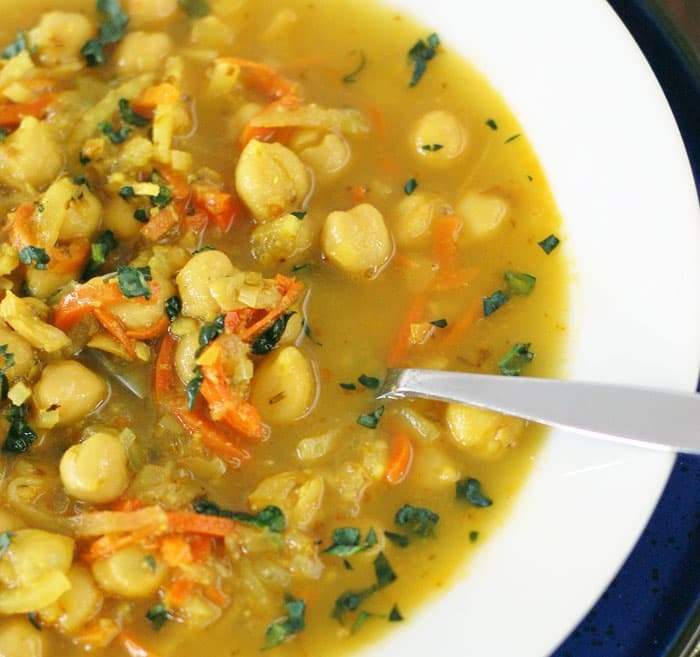 This Chickpea Noodle Soup with Spiralized Celeriac is like vegan chick’n soup. It’s soothing when you’re not feeling well and heart-warming anytime. Corn Cabbage Soup from The Easy Vegan Cookbook gets its wow factor from sriracha & sesame oil and a flavorful broth. 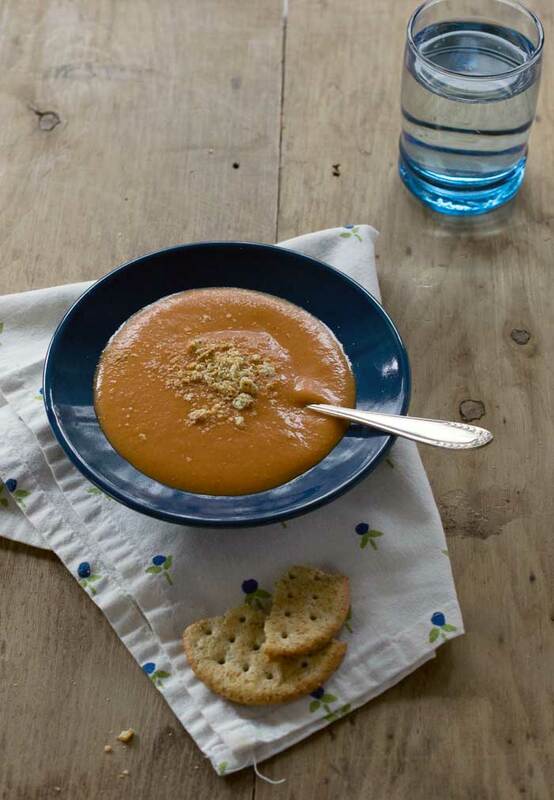 It’s sure to become a favorite winter soup. 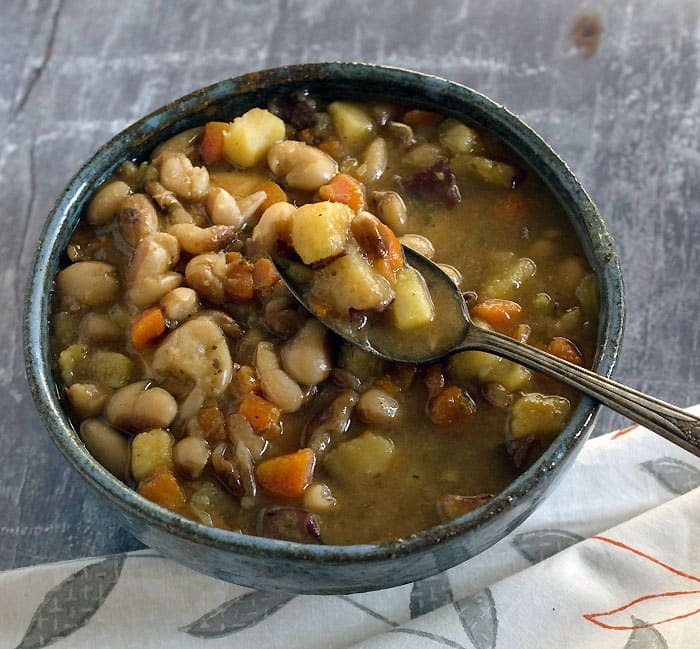 Smoky Vegan Split Pea Soup with Sweet Potatoes and Navy Beans will get you compliments at your dinner table. No one will guess how easy it is to make in your Instant Pot or Slow Cooker. 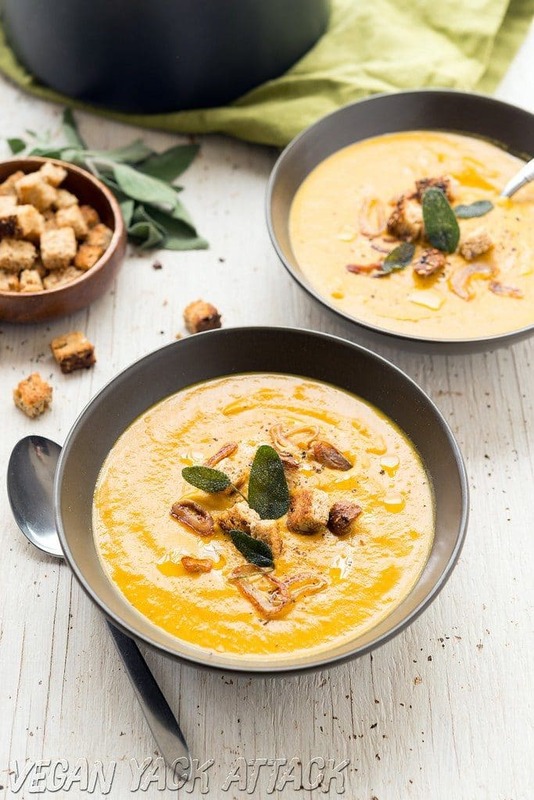 Winter Bisque with Crispy Sage & Shallots is a perfect soup for winter weather with its luscious and creamy blend of winter veggies with some crispness from the sage and shallots. 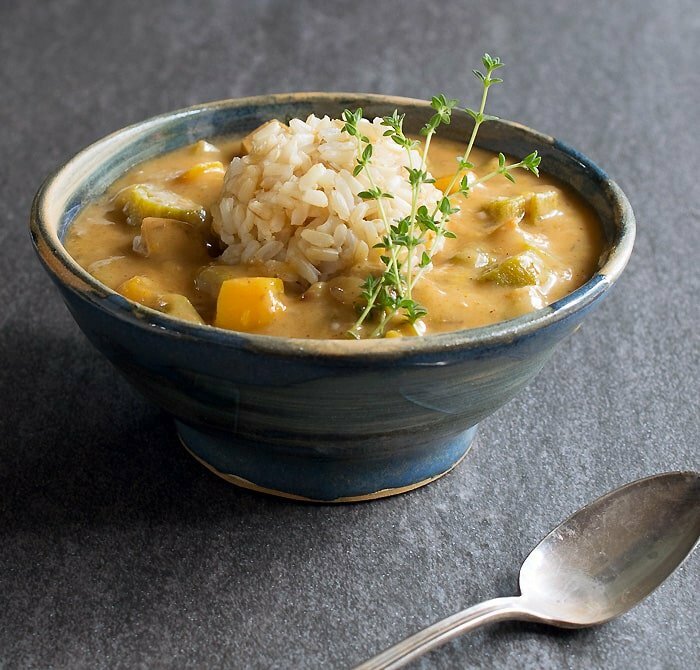 Vegan Butternut Squash Okra Gumbo with Brown Rice is a non-traditional version of a New Orleans classic. 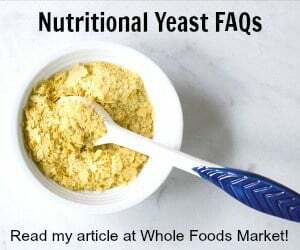 It’s thick and delicious and goes perfectly with vegan French bread. 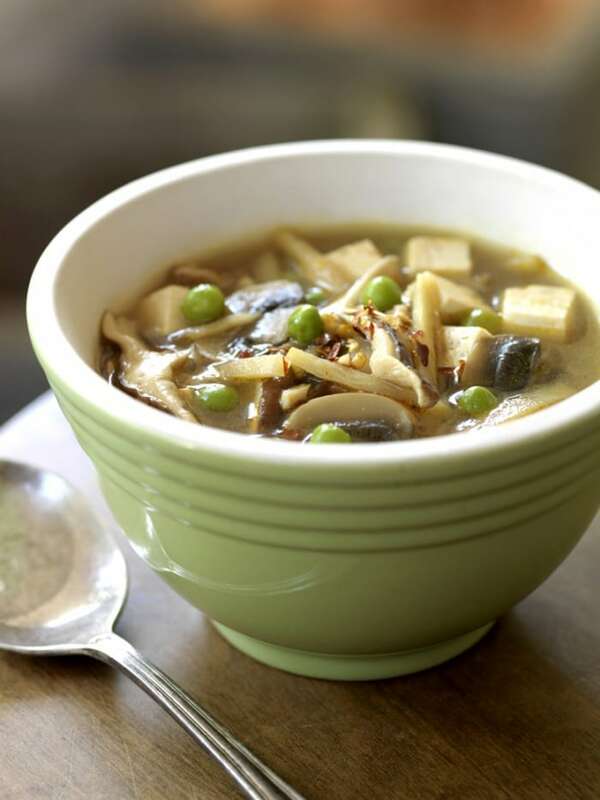 It’s not easy to find a vegan version at a Chinese takeout, so make this Slow Cooker Vegan Hot & Sour Soup instead. 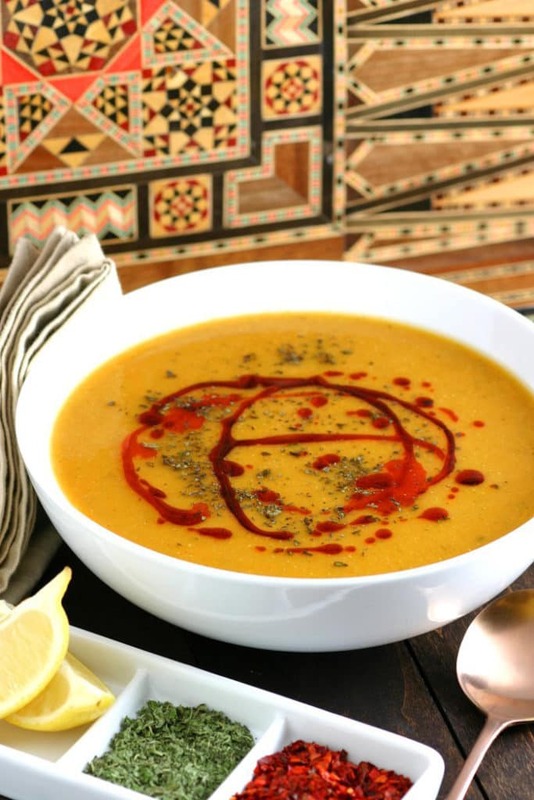 This Turkish Red Lentil Soup is a great option when you have red lentils in your pantry and want a spicy, warming soup. Serve with a squeeze of lemon and drizzle of paprika-infused oil. 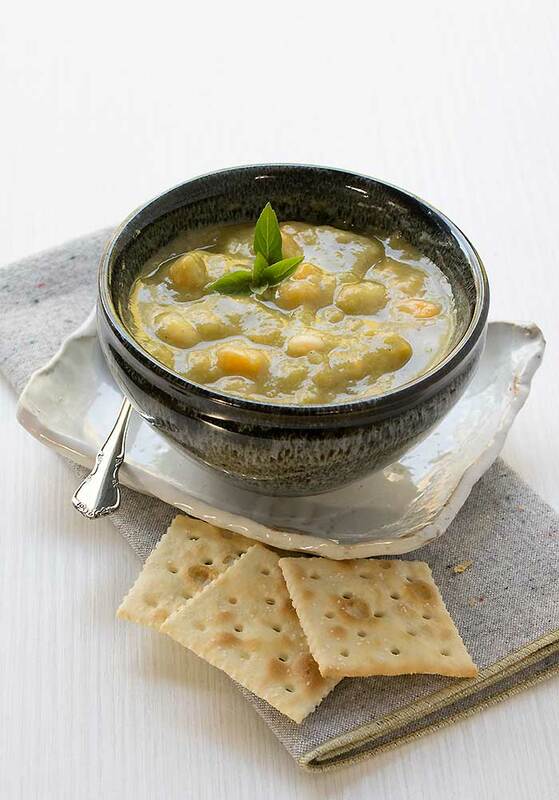 Slow Cooker Yellow-Eyed Bean Soup For 2 with Veggie Variations is perfect for a wintery day. It cooks in a little 1 1/2 to 2 quart slow cooker, but you can double or triple it and use a larger slow cooker. 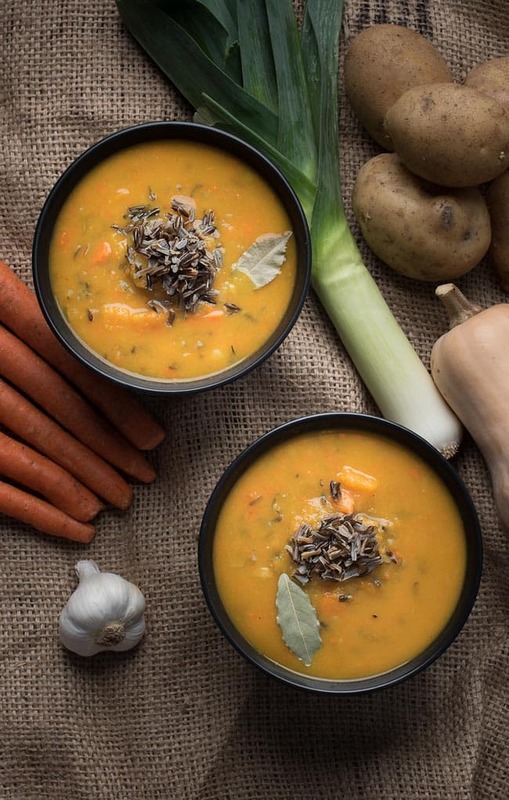 Vegan Butternut Squash Soup is perfect on its own as a light lunch or as a bigger meal served along salad or your favorite vegan sandwich. Although it rarely gets really cold in Central Florida, I love soups this time of year. My go to is an upgrade of my mother’s potato soup. I dice the potatoes and steam them first. When cooked I put them in a stock pot with unsweetened soy milk, vegan margarine, a bag of frozen peas & carrots with salt & pepper to taste. Cook on medium low until the soy milk is hot and the veggies are done. My favorite comfort food. The recipes above look yummy and I can’t wait to try some of them soon. Perfect for this chilly, (by Florida standards), rainy, gray, New Year day. Making soup makes a body happy!!! !